Reassurance shield for 80 and 12 after the 680 interchange. A couple miles later, SR 12 will split to continue east. 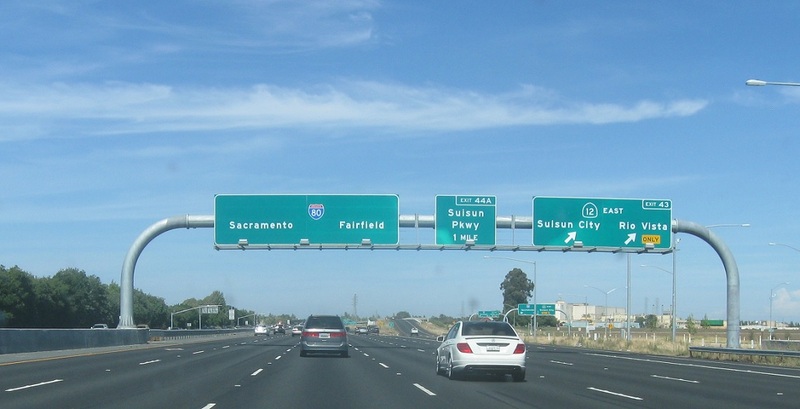 Exit for 12 east to Suisun City and Rio Vista. Stay on I-80 for downtown Fairfield.